Ask any Realtor what one thing makes or breaks a kitchen or bath update and they’ll undoubtedly say granite. 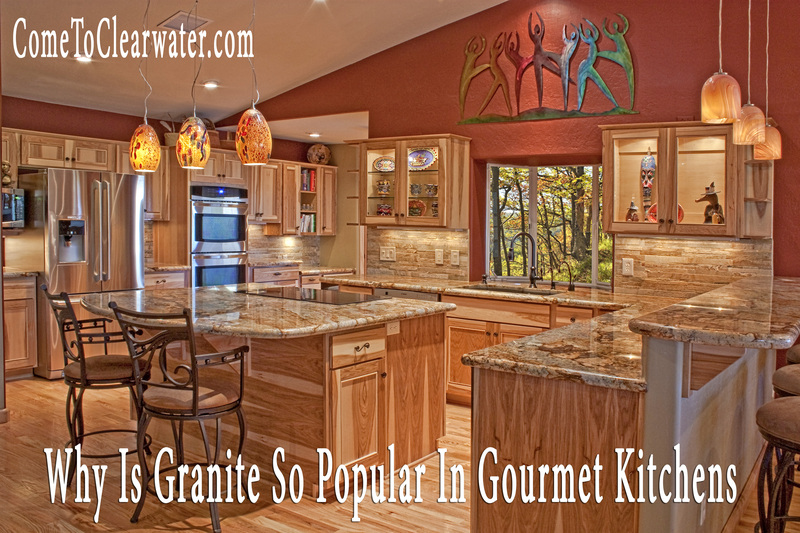 Granite is part of any gourmet kitchen. If you are hesitating and may be thinking that a cheaper option may be the way to go, stop. Go with granite. Why? It is a great investment. Granite countertops are classic. They look classic and give any kitchen or bath a timeless look. Granite is practical and beautiful. Its gorgeous graining and versatile color palettes seem to make a kitchen more beautiful the minute they are installed. They are also practical. Since they are natural materials, there is little man-made that can hold a candle to it. Granite is tough and durable. Granite is almost unbreakable, and it is scratch, stain, and mildew-resistant. It is naturally cooler so that it is great for baking. Rolling out dough is easier, cooling hot pans is easier. It isn’t porous, so harmful bacteria won’t find their way into cracks and crevices and make your family sick. Granite is also versatile. 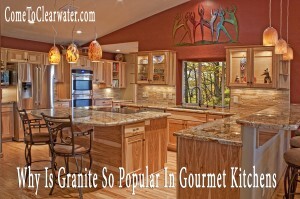 Any style of kitchen will be complemented by granite counters. From modern to craft to country to traditional and everything in between. Between the amazing color palettes available to the styling of the granite itself, it fits every lifestyle. Traditional cabinetry looks amazing with it, as do stainless steel, black or white appliances. The granite only enhances the décor. Lastly, granite has and keeps its value. It improves appearance and makes the market value of your home higher. When selling, granite helps you sell. It appeals to a wide variety of buyers and their styles. Many demand granite counters, so knowing you have them will mean your property has an ace in the hole. The durability and beauty adds to any home. So when updating, don’t skimp. Use granite and reap the reward.